Since Coastal Expeditions became the concessionaire for group services in Cape Romain National Wildlife Refuge in 1994, we have put an emphasis on environmental education as part of our mission. Our guides have led thousands of students and groups to the island through what we call Island Quest, a curriculum-based boat ecotour and hike that focuses on the ecology, geology and history of this resource. This adventure can be adapted for any group or level of study, and over the years we’ve led groups of high school creative writers, international touring companies, elementary classes, environmental non-profit groups and everything in between on educational trips to this ever-changing ecosystem. 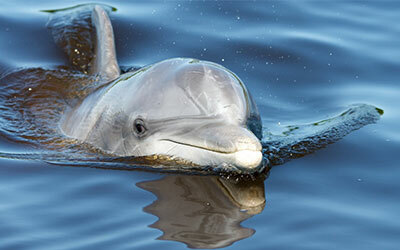 Explore the inland trails of a pristine barrier island within Cape Romain National Wildlife Refuge! 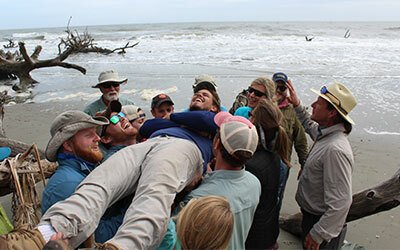 This field study program combines an estuary education aboard Caretta with hiking the trails of Bulls Island in search of wildlife, history and barrier island ecology. Now in its 25th year, this program exceeds South Carolina curriculum standards for science and history, and subjects covered are adjusted for grades and class objectives. This option offers a complete, well-rounded study of barrier island ecology, and is a great opportunity for your students to gain hands-on experience. 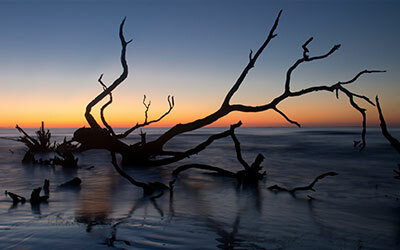 This in-depth field trip examines both the maritime forest and the dynamic beach of Bulls Island. This field trip is perfect for advanced classes in science, social studies, ecology and college-level courses. 20 student minimum. $25/student (2 chaperones free). If you’re planning a trip for a college course, continuing education or a touring group, we can help you plan a trip to Bulls Island that will be the highlight of your time in Charleston. Some ideas? Camp on Capers and paddle to Bulls Island and explore the trails and beach for the day with a Coastal Expeditions guide. Arrange for a Beach Drop with a naturalist guide to identify birds, wildlife, shells and artifacts. Or make it a part of a much larger trip and create an itinerary that combines blackwater kayaking, camping and Cape Romain exploration on a multi-day expedition. Just get in touch and we’ll work out the details! 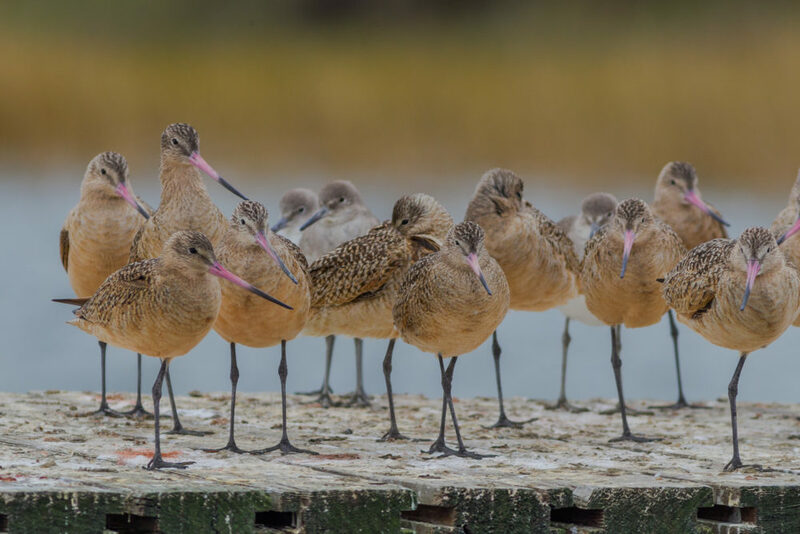 Marbled Godwits on a dock in Cape Romain National Wildlife Refuge. 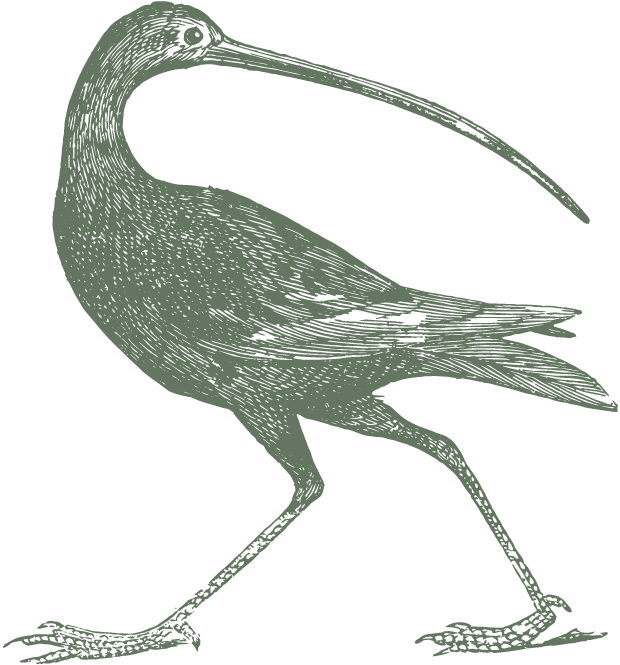 Notice their pink, upturned beaks and they way that they stand on one leg to conserve heat. We can design a field trip that combines a guided experience at nearby The Center for Birds of Prey before or after your Island Quest. As part of the schedule, your students will see birds like owls, hawks, vultures and falcons with naturalist interpretation. For an additional cost, we can arrange for bagged lunches for your group. Our captains and guides receive continuing training to provide a safe trip to the island and back. Our boats have USCG Certificates of Inspection, captains are licensed USCG Master Captains and our naturalist guides are certified in lifeguarding, first aid, CPR and ACA kayaking.